"all things in existence are physiologically connected"
I’ve just witnessed death in real time, after the happening on Facebook – a late 20 something suicide, scientist, and former classmate of mine….He planned it in plenty of detail, he opened his profile to “everyone”, he wrote messages to everyone before he went missing on March 19th and was eventually found in his car on March 22nd off of a highway. While this was/is a tragedy, and a loss to human kind and the scientific body of knowledge that we’ve been building over the past millennia, I can’t help but think of the compelling end-of-life questions that this raises for me…considering I were in the young veterinary and comparative medicine fellow’s shoes. Having the opportunity to plan, would I make my social network passwords available with instructions for my estate administrators? But consider my last entry on life extension and the individual that is compelled for whatever reason to terminate her/his life during situational immortality. It appears that the aforementioned scientists was a religious person, further, a spiritual person and (I’m speculating) found some value in the afterlife, based on comments by his sister and friends…but what if in a world where the human experience were copied and uploaded into/onto vessels of sorts and individual weren’t incline to participate? Someone in the course of some scientific breakthrough….Like: A veterinarian working as a fellow in comparative medicine studying something of value to the evolving species and its body of knowledge. Would we mortals and our technological extensions be compelled to prevent death for the “greater good”?….Just as in the past we’ve advocated death for the greater good? The objective for the body and more specifically cells is to monitor its energy potential and well being just like we’d monitor anything else with a modern information system/information technology (IS/IT). 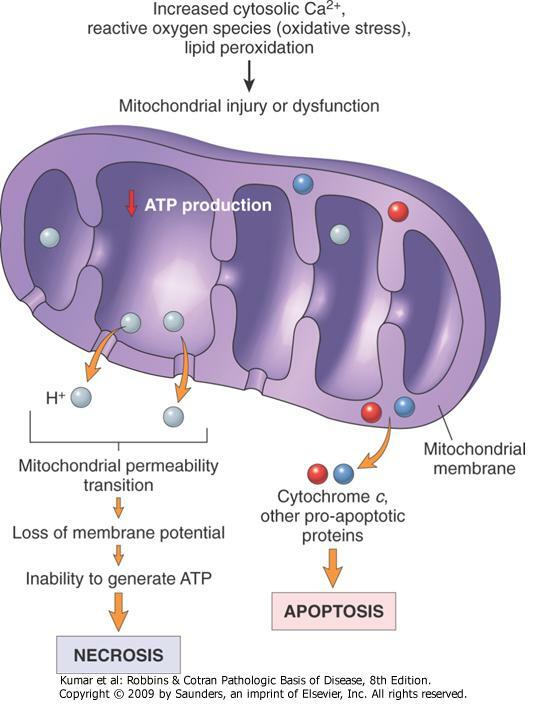 Apoptosis is an intentional death of a cell that triggers a “natural” death, Necrosis is an unintentional death of a cell due to damage. While there are some inherent dangers with existing and making it as difficult today to avoid necrosis as it was yesterday, we can aim to scientifically identify apoptosis and manage it. Most of us are familiar with apoptosis, we call it cancer…a phenomenon where cells don’t know when to call it quits and we suffer as a result of the growth. The specific technology doesn’t exist yet, but we require a mechanism to measure and regulate mitochondrion decisions on-demand. Let’s get to work people! Is there a way that we could constantly monitor mitochondrial regulation without losing blood regularly like a the annoying finger prick monitoring that diabetics have to currently endure. Lance Becker does a good job of further elaborating on this topic and charging us with a new objective of creating the technologies that will assist in life management and extension. When we ask why, in regards to distribution of technological solutions, most of us are usually compelled by political economics to think “solutions are simple, if they are in fact the objective”. While most of us are familiar with the political economics that dictate our decision-making and how we react to everyone and everything in our life’s path; one word/phenomena of allocating value remains allusive, arbitrage. Arbitrage guides all competitive efforts in a society of omnipresent market places. It represents the different in price between goods, services, commodities, lives, and markets. For the ambitious, this phenomenon will constantly deliver opportunities to exploit imbalances the cultivation of technological innovations. What does that mean? Yesterday I had the opportunity to talk to an executive at Biogen Idec Inc. (BIIB). If unfamiliar, this is a mid-sized biotech company specializing in managing and potentially curing some neurological diseases. They are not as large as a Merck & Co. or as small as the Acorda Therapeutics of the world. We talked about BIIB’s potential to increase the quality of life of individuals and further increase their potential to provide value to the species and their societal subsets. This executive told me that they have some products in the pipeline that would do very well in poverty stricken regions of the planet, but they have to meet a sales threshold of 700,000,000 US Dollars per annum on any new drug cocktail that they bring to market, in order to stay financially competitive. This need is a result of the omnipresent arbitrage impressed on this publically traded company, and conversely prices some consumers in need out of the receiving pipeline. This executive told me that it is necessary to find new ways of determining long-term value in order to distribute these new bio-products. This executive felt that there to be a moral/ethical obligation to get these technologies to people in need, but is conflicted by the poor business case for the consumers. Poor consumers are not recognized by rigid arbitrage to possess intrinsic value. 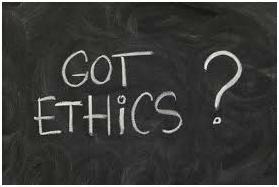 Lately, in the media rhetoric succeeding the financial crisis of 2007/8 we witness business schools taking the brunt of the finger-pointing for failing to instill a sense of ethics in its graduates and the greater business community. Perhaps their philosophy is flawed. Arbitrage is widely taught as a financial economics term specific to trading equities of sorts, but I mention it as a phenomenon because it is not merely a theory, it is the similar to the laws of the wild by which Lions Tigers and Bears kill or be killed. While talking to the BIIB executive I assured him that he would not redefine value to perform the ethical good of delivering our technological power to those in need, unless he assisted in re-establishing (at his firm first) that human value is far greater than each individual’s ability to find a niche and procure a wage. Perhaps we all need to embark on a mission to more broadly define self-actualization of sentient beings and re-value their ability and potential to interpret and innovate scientifically and artistically.